Like Telegram Messenger, WhatsApp Messenger is a very popular free-to-download messenger application we all know because of its amazing features. Using internet, the application enables us to send text messages, voice calls, video calls, documents, images and other media, as well as user location. 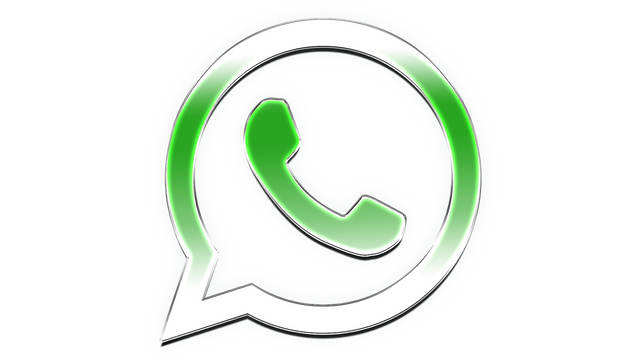 Originally, WhatsApp could only be used with mobile phones but this ability has been broaden to support access from desktop computers. The app is particularly popular among teenagers because of its features such as location sharing, voice messages and group chatting. In addition to the listed WhatsApp features is the one known as Click-To-Chat. I know the mention of this feature may sound foreign to most people because not everyone is familiar with it. It is only those who, at one point or another, find themselves needing the services of this particular whatsApp feature, that would seek to dig up what it is and how to use it. Regardless, I'd still discuss it as a prerequisite for reviewing Open-In-WhatsApp app to aid better understanding of what Open-In-WhatsApp actually does. One of the steemit's most widely supported tags during my early days on the platform was #promo-steem. Then, once you carry out any promotional activity online or offline and make a post about it, providing some screenshots as a proof of your campaign efforts, it is almost impossible for the post not to be massively supported by the community. So making #promo-steem tagged posts was a very attractive niche amongst steemit bloggers. Then, as part of my promotional strategies, I had joined several online groups on whatsApp, Facebook, online forums, etc. I'd create a WhatsApp group and draft a catchy ad message for webinar which would contain the link to my just created WhatsApp group. After getting admin permission in all the groups I was a member, I'd be dropping my ad message on the floors of each of the groups. 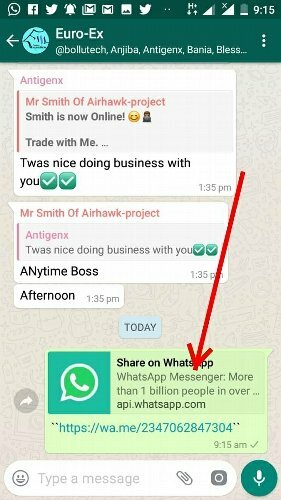 Group members who read my advert message and picked interest in it would simply click the WhatsApp link on it and joined my own WhatsApp group where the webninar about Steemit blogging opportunity would be held on an appointed date. I'd take screenshots of all the webninar proceedings and use them to make #promo-steem targeted posts, earning tens to hundreds of dollars in upvotes. It used to be really a worthwhile effort back then to hold a webinar on Whatsapp. One of the challenges of holding webinars in a WhatsApp group that was hastily populated via dropping links on various online groups, is controlling spammers who'd also be looking for virgin groups to drop their own links. Suffice to say that 50% of the webinar attendees would turn out to be highly skilled ad spammers. Skilled because, usually, they'd not spam the group until when the webinar had commenced. The moment they found out that everyone's attention had became glued to the proceedings of the webinar, they'd start spamming the group with careless abandon. And it used to be very annoying because some would be heartless so much that they'd drop multiple links amidst the webinar session. As time progressed, I developed a strategy to counter the activities of spammers in my WhatApp group. I'd select about five persons I found to be really enthusiastic about the webinar and make them my co-admins with instruction to remove anyone who'd spam the group. Working as a team, we were able to curtail the activities of spammers as they were swiftly removed whenever they dared to spam. And sometimes even after removing the spammers, my co-admins would carry out retaliatory attacks inside the spammers' WhatsApp groups, too. They'd join the spammers' WhatsApp groups via the spam links and spammed their individual groups with our own group link in return. This would sometimes lead to a full blown spam war. 😂😂 I am really remembering those crazy moments and wishing for a replay. All these headaches were in a bid to promote Steemit through webinars! And I am glad and proud of my achievements for steem ecosystem. ...and I discovered Click-To-Chat feature by accident! Usually, before you can see someone on the list of your Whatsapp contacts and start a chat with the person, you have to manually save his number to your phone's address book. However, WhatsApp's Click-To-Chat Feature enables us to bypass this hurdle. Click to Chat feature allows you to begin a chat with someone without having their phone number saved in your phone's address book. As long as you know this person’s phone number, you can create a link that will allow you to start a chat with them. By clicking the link, a chat with the person automatically opens. Click to Chat works on both your phone and WhatsApp Web. It was by accident that I got to know Click-To-Chat feature of WhatsApp during one of such spam wars those days. I found out at one point that when I clicked on some of the spammers' links, rather than joining their whatsApp groups, a chat with the spammer would automatically open instead. With this, no one could join such spammers' whatsApp groups without their consent and being added manually. This ensured that only serious individuals were manually added to such groups while unserious folks and fellow retaliating spammers like us were kept away. Following this, I began to wonder how the guys were able to make such unique whatsapp links. I reasoned that if I could figure it out, it would help me to ensure that only serious attendees would be added to my WhatsAapp group. This is because it is only those who are really out to participate in the webinar, that would exercise enough patience to engage me in a chat, seeking to be added to my group. Here the number is a full phone number in international format, which must also have an active account on WhatsApp. To add the phone number in International format, you have to be careful to omit any zeroes, brackets or dashes. Let's say you want to add the number +234-(706)2847304 to the above stated format so that a chat is opened with the person when someone clicks on the link. 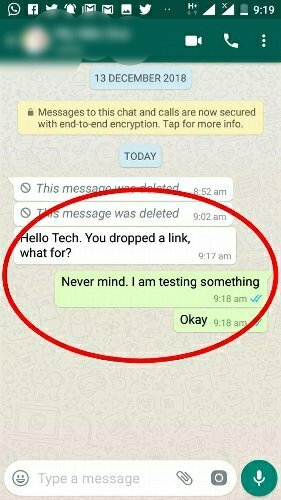 Let me demonstrate graphically how someone can open a chat with me when I drop the above link in a group and the person clicks on it. 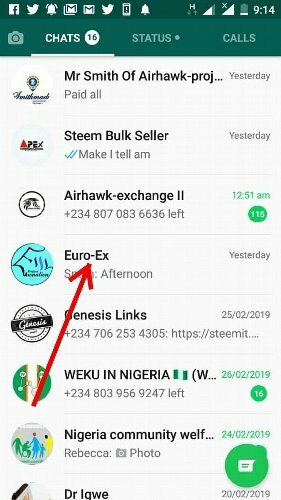 I searched through WhatsApp groups I am a member in and decided to drop the link on the WhatsApp floor of the group named Euro-Ex. A member of the group clicked on the link and a chat opened between us as he inquired why I dropped the link. To this, I replied that I am testing something. So whenever I wanted to hold a webinar and needed to populate my WhatsApp group with a more genuine participants than spammers, I'd simply put my registered WhatsApp number in the number field of the stated format, and then add the link to my ad message to be broadcasted on various social groups and forums. Whenever someone clicked on such links, a chat would open between the person and myself. This would enable me to interview the person to find out whether he was a genuine prospect or just a potential spammer. And would add or reject him based on the outcome of our interaction. NB: The same guildline I used in the graphic demonstration above can be used to graphically demonstrate Format 2 & 3 below. Clicking the above link will show you the list of contacts you can send your message to. So, the above examples are different versions of the Click-To-Chat feature which is used to bypass having to save contacts to phone's address book before you can see them on your WhatApp contacts. As time went on, it became a very tiresome process having to manually type any of the Click-To-Chat formats whenever I wanted to run a campaign. Again, sometimes after creating links and pasting them in many groups, I'd not receive any response. On cross-checking the links, I'd find out I had mistakenly omitted some letters while generating the links. So I began to wonder if there is a way to automatically generate the links rather than having to type them manually, and so decided to research about the possibility. And it was in the process of the research that I came to know Open-In-WhatsApp app, which is an app that can automatically generate such unique links. I will stop here. The detailed features of Open-In-WhatsApp app including how to use the app will be covered in the Part 2 of this series. It is true that WhatsApp messenger is not an open source application. 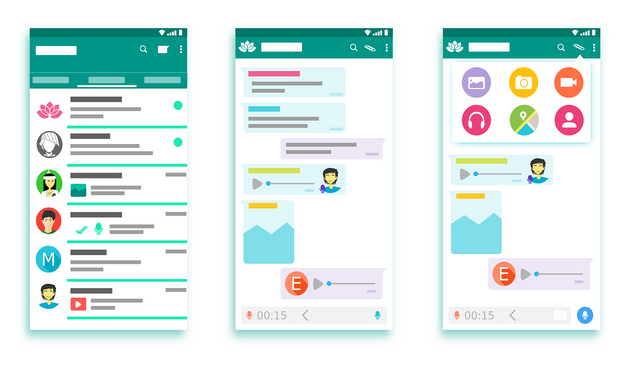 But Open-In-WhatsApp is an independent WhatsApp feature which is an open source application built to bypass the hurdles of using Click-To-Chat feature of WhatsApp. Proper understanding of Click-To-Chat feature is very essential to understanding how Open-In-WhatsApp app works. In this part of my review, I have been able to use my numerous experiences with WhatsApp to lay the necessary foundation needed to understand how Open-In-WhatsApp app works. The Part 2 of this series shall essentially cover the workings of Open-In-WhatsApp app with detailed graphics. Thank you for this contribution. Your post is very informative and well-illustrated with relevant graphic content. On the content side, this was a mixed bag for me. The post certainly contains valuable general information related to the purpose of this project, however I have to admit that I was expecting to read a bit more about the project itself. There's so little information in your post about this specific application you are reviewing. Regardless, the post contains your personal knowledge and views, and I certainly learned a thing or two. That said, the post did have issues of style and proofreading. I would advise you to consider giving your future texts a thorough check before publishing. As I said in the summary, this piece is just a foundation that's necessary for understanding of the project. I will talk about the project in part 2. However, thanks for your constructive criticism. I upvoted your contribution because to my mind your post is at least 5 SBD worth and should receive 131 votes. It's now up to the lovely Steemit community to make this come true.